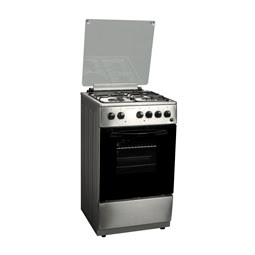 50 x 50 cm GAS RANGE with 3 Gas Burners with 1 Electric Hot-Plate, Electric Oven and Grill. 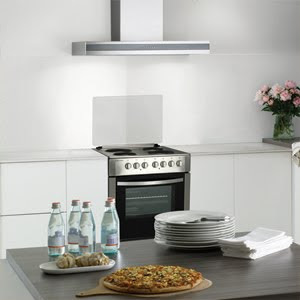 Features: Sleek, European design - Designed to lend sophistication to any kitchen. 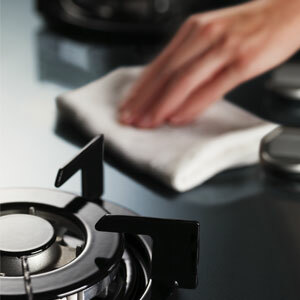 High Standards of Safety: Sealed Burner Technology on gas burners. Anti-Tilt Device to prevent tipping of the appliance. Smart and Convenient: Quick start. Auto ignition for burners and oven – fast, one-step ignition. Easy to clean. Tailor-Fit for Asian Cooking: 3 gas burners with wok stand and one electric hot plate. Strong, consistent flame for superior cooking results. 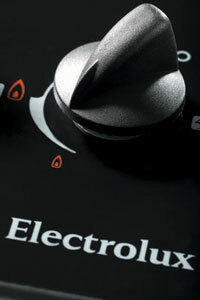 Accurate cooking temperature settings on electric hot plate. Electric oven with grill function.